The first new drug to treat amyotrophic lateral sclerosis (ALS) in more than 20 years has been approved by the U.S. Food and Drug Administration. Radicava (edaravone) is taken intravenously daily for 14 days, followed by 14 days without the drug. Subsequent treatment cycles consist of treatment for 10 out of 14 days, followed by 14 days without the drug. “After learning about the use of edaravone to treat ALS in Japan, we rapidly engaged with the drug developer about filing a marketing application in the United States,” Dr. Eric Bastings, deputy director of the division of neurology products in the FDA’s Center for Drug Evaluation and Research, said in an agency news release. “This is the first new treatment approved by the FDA for ALS in many years, and we are pleased that people with ALS will now have an additional option,” Bastings added. The very first ALS drug, riluzole, was approved by the FDA in 1995. ALS, also known as Lou Gehrig’s disease, is a progressive, always fatal neurological disease that destroys the nerve cells that control voluntary muscles, including those used for chewing, walking, breathing and talking. Most patients die from respiratory failure within three to five years after symptoms begin. 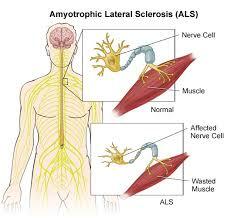 About 12,000 to 15,000 Americans have ALS, according to the U.S. Centers for Disease Control and Prevention. The FDA’s approval of Radicava was based on a six-month clinical trial in Japan that included 137 patients who received either the drug or an inactive placebo, the agency said Friday. After 24 weeks, patients taking the drug had less decline in physical functioning than those taking the placebo. The most common side effects among patients taking the drug were bruising and walking problems, the findings showed. “Radicava is also associated with serious risks that require immediate medical care, such as hives, swelling or shortness of breath, and [life-threatening] allergic reactions to sodium bisulfite, an ingredient in the drug,” the agency said in the news release. One ALS expert said the approval gives patients a desperately needed option. But Shneider stopped short of saying he would actually recommend it to his ALS patients, because the intravenous drug is difficult and time-consuming to administer. “If it were a pill and easily administered, I’d be less reluctant to use it,” he told the newspaper. Shneider added that the drug will not make patients feel better or stronger; it can only slow the decline of the devastating disease.